If you lose big at Las Vegas, what is the fastest way out of debt? Mark Johnston is boldly doing what every unlucky gambler has thought about doing. Johnston is suing to casino in an effort to declare his $500,000 loss as null and void. On January 30th, Johnston decided to spend the weekend at Las Vegas. The self-made millionaire often gambled for fun. Johnston departed from California, where he lives, for Las Vegas from Burbank airport. Before take-off, he had two drinks. During the flight, he had another drink. On his limousine ride from the airport, he had two more drinks. During dinner, he had several more drinks. After dinner, Johnston claims to have blacked out, with no recollection of what happened until he woke up in his hotel room. Apparently, Johnston had spent the 17 hours between dinner and his hotel room gambling at Downtown Grand. He was also drinking while he was losing all his money. Johnston had more than 20 drinks, to the point where he was confusing chip colors and slurring his speech. Johnston’s entire lawsuit rests on a Nevada regulation that forbids casinos from allowing visibly drunk customers from gambling. The regulation also prohibits casinos from giving free alcohol to obviously drunk patrons. Case law is divided on the subject. Some courts have ruled in favor of drunken gamblers, holding that casinos have a duty not to take advantage of visibly intoxicated people. Other judges, including Supreme Court Justice Alito, have ruled against gamblers. Justice Alito, as a circuit judge, wrote that it would be too difficult to determine if a gambler was truly too drunk to be responsible. Alito feared that gamblers would take advantage of the law if courts began voiding debts based on how much alcohol the gambler had consumed prior to hitting the casino floor. 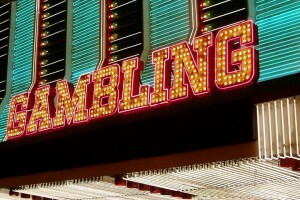 What Is the Point of Suing the Casino? Johnston insists he is not a sore loser. Johnston claims he has the ability to pay his debt, but he feels that the casino took advantage of him while he was vulnerable. Frankly, I don’t see how a jury would buy that. Johnston has a history of gambling and he made a decision to go to Vegas while he was still sober. Johnston also claims that his case is actually about the casino nearly killing him. He says Downtown Grand fed him enough drinks over the course of 17 hours to endanger his health. That might be true, and a court could award him damages for that. However, I don’t see how his alcohol binge is related to his debt. Even if the casino did slip Johnston enough alcohol to incapacitate him, Johnston went to Vegas in order to gamble. Johnston must have foreseen that he could have lost a lot of money, regardless of whether he was sober or not. In Las Vegas, most casinos prefer to quietly settle such lawsuits without public scrutiny. However, Downtown Grand only opened last November, so it’s possible the casino might let this case go to trial. I think most casinos would win if these cases went to trial since most juries would believe that the gambler caused his own debt, regardless of what Nevada law says. However, even if casinos could win in court, they might lose business. If gamblers hear that juries won’t bail them out after a drunken bout of gambling, they might be more reluctant to play. On the other hand, casinos which frequently settle lawsuits involving drunken gambling might be sued in the hopes that the casino will settle the case. Johnston’s wealth will save him regardless of the outcome, but for less fortunate debtors who drink and gamble, this case might be an alternative to bankruptcy. « Film the Police! - Is It Legal to Film and Photograph Law Enforcement?